I would like to end 2012 with a fun giveaway! I appreciate everyone who has made this blogging experience so awesome for me. The support and friendliness I have experienced through blogging is heartwarming. I didn't realize when I started this blog that I would meet such great people - I'm so thankful for each and every one of you! After posting my last Jamberry Nails review (here); Kelly Bass, Jamberry Consultant, asked if I would like to host a giveaway on my blog. I gladly took her up on her offer to provide the 2 winners with their choice of a sheet of Jamberry Nail Shields, a mini manicure set, and a few Jamberry samples. I then decided to add my own prizes - you can choose your own Zoya shade and I will order it and have it shipped directly to your home. This manicure shows Zoya Dannii with a Jamberry Nail Shield in "Houndstooth" as an accent nail. I have always loved Dannii. It's opaque in two coats and the application is like butter. Zoya describes Dannii as a "medium orchid purple with pink and champagne highlights and flecks of silvery metallic shimmer." It has so much dimension and it's so fun to wear. My experience with this nail shield was as successful as the first time I tried them. It does require a hair dryer, but it's very quick and easy. There are lots of Youtube videos showing application methods. I love using these as an accent nail because you can get two uses out of one strip - so a sheet will last you quite a while. I love that the unused strips don't dry out like others I have used. If you would like to try a sheet of Jamberry Nail Shields and pick your own Zoya nail polish, enter the giveaway by entering your information in the Rafflecopter widget below. There will be 2 winners. If you win, you will be contacted by email and asked to pick a nail polish from the Zoya site (Be sure to check out the new 2013 Lovely Collection while you are shopping!). 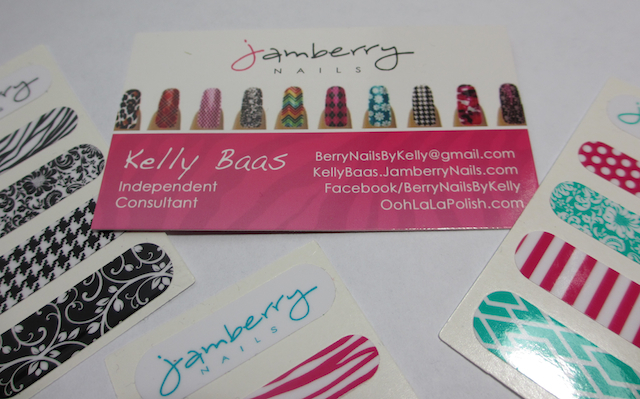 You will also be asked to choose your sheet of Jamberry Nail Shields from this site. Once you choose your sheet, Kelly will send your choice along with a mini manicure set and some extra nail shield samples. This giveaway is only open to U.S. residents. 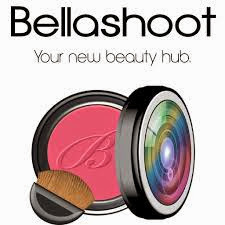 I hope to have an international giveaway in March for my 1 year anniversary of my blog. Thanks again for sticking with me and welcome to my new readers! Good luck. Let me know if you think I missed something or if you have any questions. Thanks. I really love Dannii too! Awesome manicures! I've decided to save a little money i'd start doing my own nails and you make it look so neat and easy! Thanks for the giveaway! I'm stopping by from Bloggers.com. I'm a new member, it's nice to meet ya! If ya get a chance stop by and say hi? Happy New year! I love that pattern and that color is gorgeous!! Thanks soo much again! I got the Zoya today and it is beautiful! :0) I went with Kotori if anyone is curious. Waiting on the Jamberry...I chose a butterfly pattern for those! I'm so excited to have won!